As promised, here is more information on the Palmer Coates Family. Shelden Palmer Coates 1814 in Buffalo NY-1860, Married Mary Clarke born 1804 in PA. Shelden and Mary had the following children, Sheldon was a farmer. In 1850 Sheldon was lving in Butler PA. on a farm. All the children except Ellen , who would not be born for another 7 years, appear in the census. Also living with them are Palmer Coates age 64, Joseph R. Harris age 24, a boatman, George Karnes age 5 and Livia Karnes age 2. It is not clear who these children belong to or why they are living with this family. They do not appear in the 1860 census as living with Shelden and his family. In 1860 he worked as a Cooper and was living in Allegany Pa. All of his children appear in the census and his mother Lodema was also living with them. By 1870 all of the children have left except Ellen age 13. Shelden and Mary are living in Allegany County Pa.
George Thomas Coates 2/12/1839-1931 died in Somerset Pa. Married Lydia Ann Tombo born 2/20/1843 in Pa.- 9/4/1934. They had the following children; Thomas Coates 1865, Ada Coates 1868-1940, Elizabeth R. Coates 1873. Dewitt Clinton Coates born 2/20/1843- in Harrisburg Pa. - Died 9/4/1934 Galva Henry Ill. Married Sarah Elizabeth Runyon on 6/15/1878 in Boyd Kentucky In 1880 they continued to live in Cattleberg Boyd Kentucky. They had the following children; Sadie Coates 1876 born in Pa., Fred Coates 1880 born Kentucky, Luti Coates 1882 in Kentucky, Earnest Coates 1884 in Kentucky, Lulu Coates 1885 in Kentucky, Allen Coates 1888 Kentucky. In 1900 he was living in Peoria Ill.
John Coates 1846-7/25/1904 in Greenwood Pa.
Ellen Coates 1857- no information at this time. Lysander D. Coates 1816 born in Buffalo NY-4/29/1890 died in Cattleburg Boyd Kentucky. He married twice. The first time to Mary Ann Ritchie 1815-1880, the second marriage to Sophia Mays 1830-1919. Lysander apparently traveled a great deal. He had two separate families, each with his different wives. In the 1850 Census Lysnader appears living in Newport, Washington Ohio with wife Maryann and the following children; all born in PA except the two youngest, as shown; Elizabeth Coates born in PA 1829- died Ohio 8/8/1909, Hannah Coates born 1835 in Somerset Pa., Married Joseph McCready in Ohio on 10/15/ 1921, died 2/8/1835 in Somerset Pa., John Coates 1838 in Somerset Pa., George Washington Coates 1839, Angeline Coates 1842, Ebenezer Coates born 10/9/1843 in Ohio- 1924, and Charlotte Coates born in Ohio 1848.Lysander was working as a cooper at that time. In 1860 Lysander and Mary Ann in Ashland Boyd Kentucky with children; Angelina (see above,) Ebenezer, (see above), Charlotte (see above), and a new child, Elvina Coates born 1852 in Kentucky. Lysander is working as a boatman in Kentucky. By 1870 Lysander is living in Lawrence Ohio with his second wife, Sophia Mays born in Kentucky. They have the following children; Drucilla Coates 1865 born in Ohio, Lodema D. Coates 1868-1900 Ohio, Sophia A. Coates 1869 in Ohio. In 1870 Lysander’s son Ebenezer Coates lived two houses from his father, is married to Lucinda ? Spears and has the following children; Callie Spears born 1860 (step daughter) Ebenezer Coates born 1868, Baby boy (unnamed) Coates born 1869. All children born in Ohio. Ebenezer is a book maker. In 1880 Lysander, now 64 years old is living in Ashland, Boyd Kentucky with Sophia and the following children; Drusilla coates born Ohio, Lodema Coates born ohio, Sophia Coates born ohio, and Ursulla Coates 1874 born in Kentucky, Mona Coates 3/5/1877 born in Kentucky-11/28/1961 died in LA. California. The rest of the family does not appear in the 1870 census. The daughters are presumed married and as such lost to a general search. In 1867 a George Washington Coates living in California in the Napa valley. He claims to have been born in Ill. So we cannot verify or rule out that this is part of this family at this time..
Jerome Bonaparte Coates 9/ 1823 in Butler Pa.-6/7/1902 in Ellwood Pa. in 1845 Married Eliza Jane Ripple born1825-1864. They had the following children all born in PA. Angeline Z. Coates 1846, Jacob Ira Coates 1847, Charles Coates 1849, Louisa V. Coates 1852, Jerome Frank Coates 1854-1934 (married Leonora), Arabella Coates 1855, William H. Coates 1858. Herbert Grayson Coates 1861 and Mary Margaret Coates 1864. Following Jane’s death in 1864, possibly in child birth, Jerome married Louisa?. Jerome appears with Louisa and several of his children in the 1870 census. By 1880 he has married again to Mary E.Ashton age 38, 1842-1900. He has three more children, most likely with Mary E. due to Louisa’s age in 1870. They are James Barclay Coates born 1872-1918, Nellie Bly Coates born 1875 and Ransom D. Coates born 1876. Jerome worked as a cooper most of his life. In the 1880 census he is marked as being insane. The subject of this sketch was born Sept. 24, 1803, in the town of Westford, Otsego County, N. Y. He was the son of Joseph and Elizabeth Coates, who were among the first settlers of the town. He was the second son of a family of eight children. At the age of twenty-one years he assumed control of his father’s business, and at his father’s death, which occurred in 1828, he, with Jacob L. Snyder, as executors, settled the estate to the entire satisfaction of the other legatees. Mr. Coates purchased the interest of the heirs in the estate, and to the farm, then embracing 225 acres, he made subsequent additions until at the time of his death he was in possession of nearly 500 acres. His wife’s portrait and a view of his late residence may be seen elsewhere in this work. His portrait also would appear here, but unfortunately there are none in existence. March 27, 1857, he married Lucy Ann Bennett, daughter of Aaron and Sally Bennett, who were early settlers in the town of Maryland. To Mr. and Mrs. Coates were born Ella D. Elbert, and Effie M., all of whom are living with their mother. Mr. Coates was a man of unusual ability, and was well posted on the events of the day; a man of untiring industry, and during a busy life succeeded in accumulating a large property; and during the late war it is related of him that he paid the highest taxes of any man of his town. He was a staunch Democrat, but never a seeker after official honors. He was a member of the Methodist Episcopal Church. He died Nov. 14, 1872. A beautiful monument marks his resting place in the Methodist cemetery at Westville. Billings Coates 5/29/1779- died Springfield Otsego NY 2/21/1834. 12/29/1790 married Polly Palmer born in Stonington 1770-1823. Polly was his first cousin. Following Polly’s death he married a second time to Sally Morse on 2/83/1833. Billings appears on the property tax roles in Otsego NY as a farmer with a house and farm in 1799, living next door to brother Aiden Coates who is also a farmer. Billings Coats Jr. born in Stonington Conn 6/19/1791-1875Married Lucinda Cutler, daughter of Joel Cutler born 1896 in Connecticut. In 1850 Billings is living in Brookfield Madison NY with wife Lucy A. and their children; Fanny b 1830 in NY, and Charles born 1834 in NY. In 1850 Billings is working as a shoe maker while Charles runs the family farm. In 1855 The family is still in Brookfield Madison NY Charles does not appear in the Census. Fanny remains at home and Billing’s Father in Law, Joel Cutler, age 84, is living with them. In 1860 Billings and Lucy are still living in Brookfield Madison NY on the farm. In 1870 we find a 79 year old Billings Coates living in Vernon Oneida County NY with Lucinda. He is a retired farmer, Lucinda continues to keep house. Levi Coats 10/27/1795 married Sophrona ? moved to PA. In 1850 living in Liberty McKean Pa. with wife, Sophrona and the following children; Cordella Coats 1827, Charles Coats 1829, Lucina Coats 1831, Justine Coats 1833, Mary Coats 1835, Electa Coats 1828, Harriet Coats 1842, Byron Coats 1849. No further information available at this time. Albert Coats 2/25/1806-10/24/1883 married Sapharia Morse ?-1900 they had the following children ; Martin B. Coates1833, Martha Coates 5/16/1837-2/4/1903. In 1850 Albert’s step-mother Sally Morse Coats is living with him. She is 62. Albert was a farmer. Martin Coates 7/24/1810 springfield Otsego NY, married Harriet?born 1911. Martin was a farmer in Otsego NY. He and Harriet had the following children: Parker Coats 1840- 1864- enlisted and served in Civil War, mustered in Oct. 15, 1862. Enlistment card indicates he was 5’7 tall, blue eyes, brown hair. He served in the infantry for 2 years before being struck down by disease. He was hospitalized in July and released to return home to die. In the fall of 1864., Esther Coats 1845, Adelbert Coats 1848 married Josephine? 1877 In 1880 he was living in Portland Oregon working as a Minster. In 1900 he had returned to New York and was living in Buffalo where he continued to work as a clergyman. They had no children. Charles Coats 1851- too many Charles Coates in the Otsego county NY area to determine which one is correct at this time, if you think this may be your relation and would like me to look more closely, or if you know this to be your relation and would like to share your information please send me a note..
William Coates Jr. 1773 married Susannah? William continued to live in Burlington Otsego NY near his father. In 1800 He and Susannah had 5 children, 2 sons under 10 and 3 daughters under 10. Corey Coates 1777-1857 married Leminda Gillete after 1800. By 1810 they have moved from Otsego NY to Manilas Onondaga county NY and have one son under 10. In our next post we will look closer at the family of Palmer coats and try to determine the off spring of William, Alden and Corey coates. Allen Ethan Coates 1/29/1830- died in Toledo Iowa 12/17/1915 married 3/9/1853 to Mary Ann Curtis born in Martinsburg 12/5/1835- 11/3/1926 in Cedar Rapids Iowa. Glen H. Coates 5/9/1884 in Toledo- 6/17/1965 Kenmore NY, Married in Cleveland 7/8/1908 Mabelle Klossen. Belle Coates 11/11/1896- a writer of children’s books and a school teacher. Chauncey P. Coates 12/18/1832-8/11/1865 died in Richmond Ill. Married 812/16/1856 at Genoa Wisconsin to Jennie L. Brown born in Ticonderoga NY 4/13/1838-died near Portland Oregon 2/16/1916. Georgia Pearl Coates 7/10/1882 married 9/16/1911 to Frank Walters who died 4/23/1925 Georgia and Frank had the following children; Lois Walters 12/18/1912, Willis Walters 12/6/1913-11/6/1927, Lawrence Walters 3/11/1916, Frank Walters Jr. 7/14/1918, James Coates Walters 5/26/1921. Charles Sedgwick Coates 7/17/1888 married 1921, in 1928 lived in Clifton Col.
James Alanson Coates 3/5/1891 Married 1914 to Marion Geiser. They had the following children; Willis Coates 10/11/1916 in Topeka Kanssa, Mary Lou Coates 12/15/1920, James Burbon Coates 1931. In 1920 James Coates Sr. worked as a proof reader for a lithograph, in 1930 as a printer for the news paper. Eli Burnham Coates 3/18/1836- Toledo Iowa 5/30/1910, married 4/15/1862 Mary A. Bagle who died 1907. They had the following children; (Baby Coates , Della C. Coates 12/18/1863 in Toleda- died 1/11/1889 married George L. Russell born 1859-1915)in 1880 Eli’s niece Mary T. Boyle was living with the family. Seth Willard Coates 8/30/1837- 1/31/1915 in Cincinnati Ohio Married in Sterling Ill. 8/25/1867 to Harriet Mariah Curtis born in West martinsburgh NY 5/13/1848-8/25/1883 in Cameron Nebraska, Seth and Harriet had one daughter Jennie Coates born 1869. In 1870 Harriet’s brother Edmund L. Curtis was living with the family. Roy A. Coates born Racine Wisconsin 8/29/1899-8/21/1932. 1930 worked as a cement finisher for the cement Co.
Grace I. Coates born in Turner Mich. 7/23/1908 married 8/29/1927 Earl McFall They had one child; Myra May McFall 2/20/1945. In the 1930 census all of the children except Grace, who has already married, are living at home with Bennett Earl and Maude Coates. Bennett appears in the census as the head of household all living in Flint Michigan. No further information at this time. Harold Coates born in Cincinatti 11/5/1905- married 1927 to Blanch Slater born in Iowa 11/13/1909, daughter of Ira Slater and Sophia Carlyle. Harold and Blanch had the following children, all born in Marcellus NY; Helen Jeanette Coates 1/20/1828- married 1950 Michael J. Rendall, Myrtle Blanche Coates 4/9/1929 Married 1947 to William F. Rivette, Mary Lucille Coates 3/4/1921 married Peter Wajcik, Harold Coates Jr. 2/23/1930-7/3/1934, Barbara Jean Coates 7/27/1935 Married 1953 John L. Sullivan, Donald Raymond Coates 9/8/1936 married Dorothy Conners- Divorced married Kathryn Yeager, Glady Irma Coates 7/2/1942 Married 1963 to Edward J. Lichorobiec. Henry B. Coates 7/24/1844-6/18/1909- Married 1/1/1866 Helen Arthur born 1/10/1845-1933 daughter of Orlando Arthur and Eliza Master. Orlando Coates 2/10/1873-1950 married Cora Pitcher- Divorced and married Kathryn Koste. Orlando and Cora had Nellie Pitcher Coates 12/21/1898, , Orlando was dairy farmer in Martinsburg Lewis New York. He divorced his first wife Cora after 1910. He married Cathyrn Elizabeth Koster born 1895-1971, on 1/1/1917 in Greenville Methodist church, Prescott Ontario Canada. On his marriage licenses he claimed to be a Widower. He was 44 when he married Cathryn who was 21 years old. Cathryn was the daughter of Fred Koster and Hannah Homer of Martinsburg. Orlando is buried in the Matinsburg cemetery along side Wife Cathryn who died in 1971. Cora Pritcher Coates is also buried in this cemetery, having died 7/19/1957. Orlando’s mother Hellen living with Orlando until her death in 1933. I am going to eliminate persons I have not found additional information for. If they have already been recorded in a previous post and you do not see them going forward it is because I could not find any additional information. I will also break down some of the families in future posts to get a better look at them. The family’s of William Coates Jr. born 11/31/1724 died in Stonington Conn in 1784. And Anstrase Gray, daughter of Edward Gray and Elizabeth Peabody. Elizabeth Peabody was said to be descended from John Alden and Priscilla Mullins of the Mayflower. Ramsford Coates 7/7/1786, Later known as Ransom Coates, married Patience Wilox 1793. Moved to Manilus Onandage NY and purchased property 6/17/1818. Later moved to Bradford Steuben (later Schuyler )County NY.Ramsford/Ransom and Patience had the following children, all born in NY; (Ann Coates 1818, Sarah Ann Coates1819-9/2/1819, Cynthia Coates 2/27/1824-1/24/1844, Pamela Coates 1827, Evanelus Coates 1829, William J. Coates 12/9/1833-11/20/1840, Augustus Coates 1838, Mary J. Coates 1841.) In 1850 Ransom was living with his family in Bradford Steuben NY working as a clerk, in 1855 he is listed as a farmer. The families of Benjamin Coates 1736-1774 in Boston (son of Benjamin Coates, son of John Sr. son of Robert Sr.). Married in Lynn10/31/1765 to Mary Newhall born 5/28/1745, daughter of Moses Newhall and Susannah Bowan. Mary married a second time at Boston 12/25/1777 to John Ballard. Samuel Coates 1/8/1775 in Boston- 1798 Lynn Mass. Benjamin Coates 1736-1774 in Boston. Married in Lynn10/31/1765 to mary Newhall born 5/28/1745, daughter of Moses Newhall and Susannah Bowan. Mary married a second time at Boston 12/25/1777 to John Ballard. Benjamin Coates 1766-9/12/1827 married in Boston 5/25/1790 to Abigail (Nabby) King. They had not children. Samuel Coates 1/8/1775 in Boston- 17998 Lynn Mass. Nancy Elizabeth Coates 1806 married 5/19/1824 to Jason Reed of Lexington. That is a lot of history to digest, but there is still more to come so stay tuned for further posts as we finish our look at the Robert Coates Family. To reduce any further confusion I will focus on each of the families separately going forward. We will look now at the Robert Coates Family and bring them as close to present day as possible. Once we have completed our look at Robert's family we will return to Thomas and Charles to complete our little history of the Coates. William Coates Jr. born 11/31/1724 died in Stonington Conn in 1784. He died penniless. On 9/28/1742 william married Anstrase Gray, daughter of Edward Gray and Elizabeth Peabody. Elizabeth Peabody was said to be descended from John Alden and Priscilla Mullins of the Mayflower. William is thought to have pledged 4,000 pounds sterling silver to the continental Congress to purchase supplies for the army during a critical period in the revolution. Lucretia Coates born 4/3/1774- married Daniel Brown Jr. of Jerusalem NY. They had the following children ;( Alfred Brown 1798, Anna Brown 1805, Mary Brown 1818). Robert Coates Jr.'s son Joseph Coates had the following children, all born in Essex county Mass. Amos Coates born in Stonington Conn. 4/7/1724- died before 1768- married in Stonington 1/2/1752 to Beulah Bill. Beulah was born in Lebanon Conn. 4/30/1730 to Ebenezer Bill and Patience Ingraham. Following Amos death she married a second time on 2/4/1768 to Abner Hill.Amos Coates fought in the French Indian war of 1757. He and Beulah had one child; Abigail Coates born Lebenon 3/18/1753. These have been the children and grandchildren of Robert Coates Jr. who moved his family to Stonington Conn. We will return to them a little later to finish up the Connecticut branch of the Robert Coates family. Let's take a minute to catch up on what we have learned so far. We are tracking three separate Coates families , all three originating in England, all three immigrant founders arriving in the first half of the 1600's. The Thomas Coats family arrived first, followed by Robert Coats and finally Charles coates. Robert and Thomas both settled in Lynn Essex Mass. We are currently tracking the name bearing heirs following the revolution and entering the 1800s. Charles Coats born 1742- served in the revolutionary war. Following the war he moved to Guilford Windham Vermont. In 1790 he had a wife, three sons under 16 and 5 daughters all living in Windham Vermont names as yet unknown. James Coates family moved the New London Conn.
Robert Jr. moved his family to Stonington Conn. His sons William and Joseph carried on the family name. William in Connecticut, Joseph returning to Essex mass. John Coates married Alse ( Alice) and remained in Essex Mass. They moved to Marblehead, Essex Mass. This should make tracking a little easier. A more comprehensive genealogy which includes all of the females would take much too long to compile for our purposes, but can be done with a little time and patience. We will continue to track the families of the men above. We see that we have representatives of both Robert and Thomas families living in Mass. and Connecticut, while charles group has moved north. I am tracking these families primarily using early records. In 1790 the first US Federal census was held. From that time until 1850 the only name recorded was the head of household. The census included a count of family members by approximate age and listed whether of not they had slaves and the color of the people in each family. Other records, land grants, wills, tax ledgers, church memberships often reveal names. Please keep in mind that I am working from a computer with available on-line records. Other records exist in the various places, cemeteries, churches, counties, etc. that would provide a much more in depth history of these families. If you are interested in looking more closely into any of these families i encourage you to contact the county historian in each of the counties mentioned to request additional information or perhaps you would like to plan a genealogy vacation. There is nothing more satisfying to a family historian than standing in a location your ancestors may have stood and seeing the sights they saw each day. those are the things that breath life into the story. More on the Thomas Coats Family of Newbury Mass. David Coates 10/5/1736 born at Falmouth served as a Captain in the military. He married Mehetable Thurston on 6/24/1765. They had one recorded daughter; Elizabeth Coates born 9/17/1766. Abraham Titcomb Coates born 10/19/1755. No information available at this time. Sarah Coats 7/17/1757-1850 married Richard Welch 1751-1807 they had the following children; Sarah welch 1777-?, Richard Welch Jr. 1780-1855, Benjamin Welch 1782-1849, Jonathan Coates Welch 1791-1829. Elizabeth welch 1794-? In our last post we looked at the children of Charles Coats Jr. and discovered that only son John produced name bearing offspring. He had 8 children with wife Abigail Goodrich. John moved his family to Eaton Quebec. We will look more closely at this Canadian branch of the Coates family in a bit. For now let's turn our attention to Charles Coates other two heir producing sons. who remained in Mass. Esther Coats born 3/30/1754- 8/6/died 1759 in Northampton Mass. Elihu Edward Coats born11/8/ 1757 died 1/3/ 1821- served in the military during the revo;lution for a term of 8 months in 1778. He met and married Lucy ? They settled in East Hampden and had at least one son, Jesse Coates. Charlotte Coates born 1825-died 1864- On 2/2/1860 married Ernest Pfiel born in Germany 1828-died 1865. Earnest served in the army during the civil war as a Mass. volunteer to the 37th Company. They had one son, Ernest Jr. born 1862. Charlotte died in April of 1865 in Saylors Creek Va.
Harriot Coates born 1/7/ 1829- 6/18/died 1891 in Northhampden Mass Married Samuel Brooks on 11/7/1848. They moved to Rockingham Vt. where Harriet died of Pleurisy. Harriet and Sam Brooks had the following children; Mary E. Brooks 1849-1849, William Henry Brooks 1851-1852, Esborn Prindle Brooks 1855-1923, Infant Brooks 1857-1858, Harriet A. Brooks 1859-1860, Harriet E. Brooks 1872-1910. Julia M. Coates born 1835- died in 1906 in North hampden Mass. Julia married on 3/11/1868 to Warren Ellsworth Wells. they had one child, baby wells born 1875. No other information is available at this time. Gad Coats born 5/19/1760 in North hampden Mass. no further records are available on Gad at this time. Lydia Coats born 1765 ( twin to Delinda)- died ? Clearly Edward and Joanna did not have good fortune in raising their girls. And so Edward Coats died leaving no heir to carry the family name into succeeding generations. His hope was in Elihu Coats who produced all daughters. Charles Coates born 1742- served in the revolutionary war. No additional information is available for Charles at this time. Stephen Coates Jr. born 1743- served in the revolutionary war. Married Polly Narramore on 3/4/1799. in Northhampton Mass. Stephen and Polly had a daughter in 1799 or early 1800, according to the US census from 1800. Reuben Coates born 1744. We learn from the 1790 US census that reuben in living in West Hampton Mass , Reuben received a pension for his service during the revolutionary war of $8. per month started 9/4/1818 following his filing a lengthy letter requesting his pension. Reuben served for three years mostly in Ticonderoga NY where he contracted small pox and nearly died. The Small pox left him blind or partially blind and he was discharged and returned home. Following his illness and resulting discharge, Reuben lost his military paper work. He had to submit several letters and depositions from persons who knew him , and to appear in court and swear that he had served. After a lengthy court battle he was finally granted his pension. Reuben was an invalid following the war. Miriam Coats born 2/14/1749 - Died 1830. Miriam never married. Charles Coats IV born 4/20/1751 in Deer Field Mass. Died in Bernardston Mass 12/12/1823. Charles married Elizabeth Symes born 1755-died 1855. I have only been able to locate one child, though I believe there are others. Electa Coats born 1779 in Vermont while charles was serving in the revolutionary war. Electa married David Smalley of Vermont. They settled in Rockingham county New hampshire and had the following children; David Harrison Smalley born 1807-died 1889, Horace Smalley, Erastus Smalley born 1800. Electa Coats died in Rockingham New hampshire on 4/10/1855. Her son Erastus Smaley married Sally ? . Erastus was a farmer and remained in Grafton, Rockingham New hampshire where he lived next door to his parents and ran his farm. Erastus and Sally had at least three children; Philesse Smalley born 1828, Franklin Smalley born 1832 and Gus Smalley born 1822. Gus was also a farmer and owned a farm next to his parents and Grandparents. He married Mary E. ?. Esther Coats born 3/26/1753 died 1791. She never married. Simeon Coats was born 2/11/1759. He served several terms during the revolutionary war, mostly in Ticonderoga NY. He died shortly after the war in Bernardston Mass. John Coates Jr. born 1782-1838 married Elizabeth Foster Wilson in Hartland Windsor Vermont on 12/12/1813. John and Elizabeth had the following children;Damon Coates 1814- born in Windsor Vermont( all other children born in Quebec), Solomon Coates 1815, Tyler Coates 1823-1914, Oliver Coates 1826-1861, Joseph Coates 1829, Thomas Coates 1831, Tyler Coates 1833, Lorenzo Coates 1835. Reuben Coates born 1750 died 10/27/18? died in New Haven Conn. Reuben served several terms during the revolutionary war mainly in Ticonderoga NY. Following the war he settled in Bernardston Mass. Reuben drew a pension from his military service. The last family we will look at in our exploration of the coates family in America is the Charles Coates family. This is the branch I am most familiar with as my husband is a descendant of Charles Coats. Charles was born in Wenham Mass. on 11/29/1686 to Mr. Charles Coatt formerly of England . Charles mother is not mentioned in his birth record. Charles was born 10 years after the massacre that was known at King Phillip's war. Much of the damage had been repaired to effected towns, new towns had sprung up and Europeans flooded the growing colonies. By 1700 it is estimated that Massachusetts boasted a population of around 56,000 settlers. Elizabeth Coats 9/30/1707- Died in childhood. Charles Coats 6/3/1710-1795 Married Thankful Tute/Tate in Deerfield Mass.on 1750. Thankful Tuta/Tate, born 2/24/1728 was the daughter of James Tuta born in Ireland 1685 and Keziah Carey born in Mass. 1707. Charles Coats Jr. fought in both of the French and Indian wars, arriving in Deer field Mass. as soldier in 1744. Charles was a part of Captain Israel William's company. He served from 12/11/1755-10/18/1756 as a scout. Charles Coates III born 4/20/1751-died 10/16/1823. Charles married Elizabeth? in Bernardston Mass. Esther Coates born 3/26/1753 died 1791 at age 38. Simeon Coates Baptized 2/11/1759. Simeon served during the revolution for six different enlistments from 9/1/1776-1780. Most of his time was spent stationed at Fort Ticonderoga and in the northern army and campaigns. John Coates born1756 - died 8/30/1823. John served four enlistments in the revolution, from 4/19/1775-1/1778. He spent 100 days at Fort Ticonderoga. John Married Abigail Goodrich of Webster Mass. He died in 1823 in Eaton Quebec Canada. Reuben Coates born1750. Reuben served 1 year in the continental army serving under Amasa Sheldon's Hampshire Company. Thomas Green born 12/3/1752-1775- died in service to continental army during revolution. Elizabeth Green born 9/31/1758 married William Fox. Hester Neal Coats died in West field Mass. on 1/22/1727. Charles Senior died in October of 1729. I have no information of Charles Coatt Senior at this time. Since he appears in Essex county not far from Thomas and Robert there is a plausible possibility the three were brothers. I will add more information if it becomes available. Jonathan Coates 10/5/1730- married Sarah Beckett of Gloucester Mass.. They had 2 sons ( probably other children but these were the only children I could find in the records. )Abraham titcomb Coates born 11/18/1753- died in infancy, Abraham Titcomb Coates born 10/19/1755. Hezekiah Coates born 2/8/1762- served in connecticut Militia, Elejs Regiment 11 Mar 1777. The French Indian wars firmly established British rule in America and much of Canada. This hard fought, seven year war had lasting implications on the Colonies, which included our growing Coates families. The British, impressed and perhaps a little unnerved by the tenacity and fighting spirit of the colonists increased their protectionist trade agreements and levied taxes on all imports and exports. The war had been expensive and Britain was going to make up its money anyway it could. The Colonists, already heavily burdened found these increasing impositions more and more difficult to bear. This was especially true for the Northern Colonies, where British rule was more present. discontent led to grumbling, grumbling to rebellion and rebellion to revolution in less than thirty years following the French Indian wars. If you have never watched the patriot, with Mel Gibson, I would encourage you to take some time to do so. It gives a fair picture of colonial life during the early years of the rebellion. In order to catch up on all of our Coates families before entering the revolution we will turn our attention to the Charles Coates family of Franklin county Mass. Going forward I will include either Charles, Thomas or Robert Coats in the title so that it will be easier for you to piece the families back together for your own research. 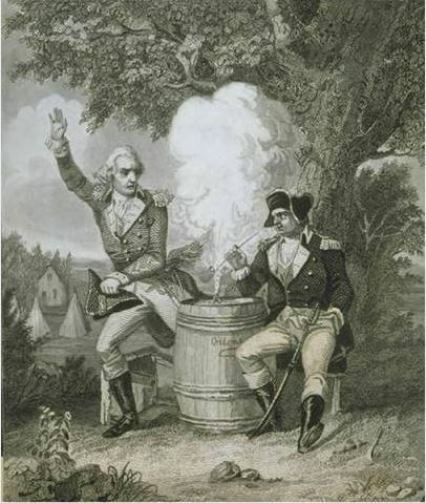 The French and Indian War was the greatest military challenge faced by the Connecticut colony between the time of King Philip’s uprising and the American Revolution. The war had a profound impact on the colony because it severely taxed economic, political, and manpower resources and set in motion forces that caused Connecticut and Britain’s other original North American colonies to rise in rebellion a dozen years after the war ended. Between the late 17th century and the middle of the 18th century, the European crowned heads waged a succession of dynastic wars. Those conflicts spilled over into the New World, primarily because of the rivalry between the two principal combatants, Britain and France. Each established a thriving colonial empire and saw the other as a threat to continued growth and prosperity. Britain concentrated its North American colonies along the Atlantic seaboard, while the vast, sparsely populated Bourbon colony of New France stretched from Acadia, up the St. Lawrence River through Quebec and the Great Lakes and encompassed the Ohio-Mississsippi River system. Each side counted key Native American tribes among its allies. In 1754, these two empires collided in what is now western Pennsylvania in a series of confrontations between French authorities and Virginia colonial scouting parties led by young George Washington. The following year, 1755, saw Connecticut authorities mobilize for war. In March, the General Assembly authorized bonuses and set salaries for military recruits. 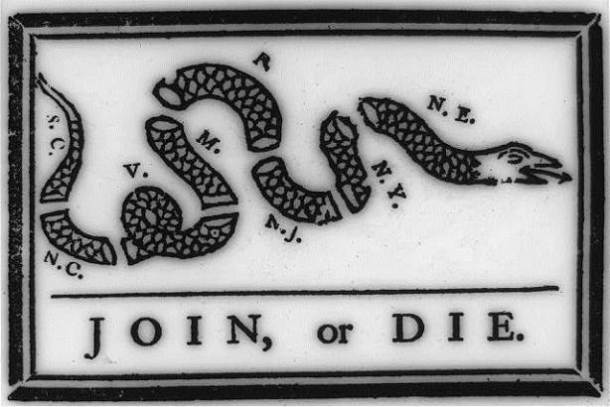 Three thousand enlistments followed and by June, hundreds of Connecticut militia had marched to Albany, which became the major staging area for the New York campaigns that followed. In July 1755, the war began in earnest when a Franco-Native American force routed British regulars and Virginia provincial troops on their way to oust the French from Fort Duquesne (present-day Pittsburgh). Back in New York, Connecticut enlistees served as part of a planned move by General Sir William Johnson upon the strategic French outpost at Fort St. Frederic (Crown Point) along the southern end of Lake Champlain. Johnson’s expedition halted to construct a base of operations, Fort Edward, between the Hudson River and Lake George. The delay gave the French and their Native American allies time to launch their own attack. The forces clashed on September 8, 1755, in the Battle of Lake George. Approximately eight hundred Connecticut troops under the command of Durham, Connecticut, native Phineas Lyman took part in the engagement, sustaining significant casualties: 45 dead, 20 wounded and 5 missing. These were in addition to a number of men who perished earlier in the summer from accidents and disease. It had been a rough introduction to military life. Many of the Connecticut troops, lacking effective weaponry and training, were employed in road-building, construction, and other menial tasks, and their morale did not improve when the wages promised by the General Assembly went unpaid. By 1756, the conflict in North America had morphed into a world war with armies and naval forces engaged in Europe, Africa, Asia, and the Caribbean. Colonial legislatures in British North America responded to the Mother Country’s annual calls for manpower, and enlistments in Connecticut totaled about 3,700 for 1756 and 1757. “Our treasury is exhausted, our substance consumed [and] the number of our able-bodied men much lessened,” Connecticut’s able colonial governor Thomas Fitch reported at the end of 1757. Also, he said, “the spirit, vigor and resolution” of the populace had much flagged. In short, the Connecticut colony was war-weary. The fortunes of war turned dramatically the following year, 1758. Under the leadership of William Pitt, the British government began pouring money and resources into the conflict, determined once and for all to establish naval and colonial superiority over France. In addition to dispatching more British regulars, Pitt asked the colonies for 20,000 provincial troops, pledging the British government’s assumption of the costs incurred to train, equip, arm, and pay them. The Connecticut General Assembly responded enthusiastically, declaring a levee of 5,000 in 1758 and another 5,000 in 1759. The colony came close to meeting both targets. Major General Lyman’s newly reinvigorated Connecticut command formed a substantial portion of the army of 9,000 provincial troops and 6,000 regulars that British General James Abercromby employed in hopes of expelling the French from Fort Carillon (Ticonderoga), south of Lake Champlain. The ensuing battle on July 8, 1758, the biggest of the war in terms of forces involved and casualties sustained, was to be the last major French triumph. Beginning with the fall of Fortress Louisbourg on July 27, 1758, British arms scored success after success, capturing Forts Duquesne, Niagara, and Carillon, Quebec City (September 1759), and finally Montreal (September 1760). While the fall of Montreal effectively ended the North American campaigns, the war continued in other theaters and Connecticut troops played a sorrowful role in one of those. In 1761 Spain belatedly entered the war on the side of France, and Britain responded the next year by invading Cuba and besieging Havana. A Connecticut regiment commanded by Lyman and Lieutenant Colonel Israel Putnam comprised a portion of the force. The Connecticut troops received a promise of substantial rewards with the fall of the city, the wealthy bastion of Spanish power in the New World. The booty went mostly uncollected, however, and hundreds of Connecticut troops fell ill and died in the tropical climate. The Havana expedition marked one of the last episodes of the war, which concluded with the signing of the Treaty of Paris in February 1763. The treaty left Canada and the vast Great Lakes region under British control. New France was no more. 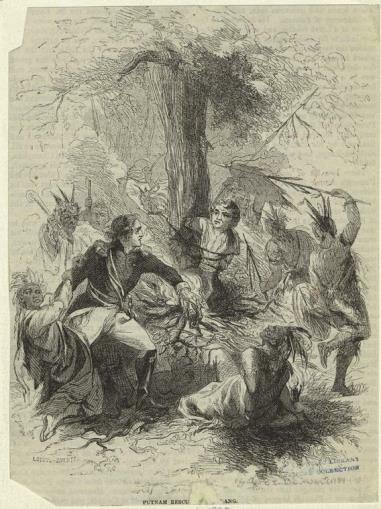 The French & Indian War made a deep impression on the Connecticut colony. Its first newspaper, the Connecticut Gazette, launched in April 1755 in New Haven largely to provide readers with reports about the conflict. 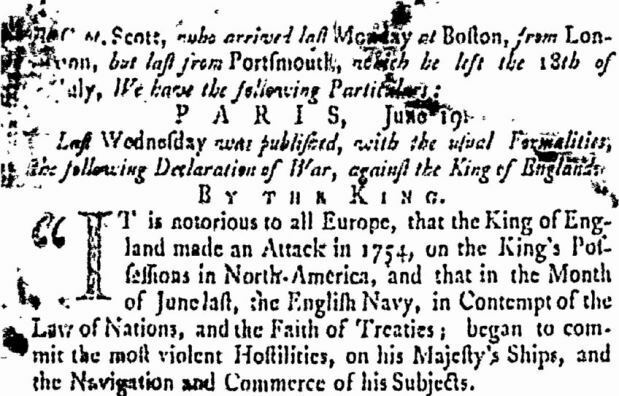 A second newspaper, the New London Summary, also known as the Weekly Advertiser, started publication in August 1758, also as a vehicle for war reporting. Because enlistments were an annual affair and many men enlisted more than once, historians calculate that the 22,858 Connecticut wartime enlistments represented about 16,000 men—or approximately 12 percent of the total population of the colony. Many of those who volunteered did so for economic reasons. The signing bonus and monthly salary provided the poor farmer and artisan, those without land or profession, with a source of income. Still, the job came at a price: 1,445 Connecticut troops died in battle, or from disease, or of other causes during the war years. The end of the war found the colony economically depressed and deeply in debt—and it only got worse. The British government had to find a way to pay costs associated with the war (which nearly doubled the national debt). The ministers determined that the American colonies needed to share in the expense since they greatly benefited from the war’s outcome. First came tariffs on sugar, coffee, wine, and other imported commodities. Then, in 1765, Parliament adopted the notorious Stamp Act, effectively taxing all paper materials. The colonies exploded into opposition. Daniel Coats born 10/30/1719 died before 1768. Martha Coats born 10/28/1721- died ?, Married Joseph Safford of Preston on 1/11/1749. She was widowed in 1768. They had no recorded children. 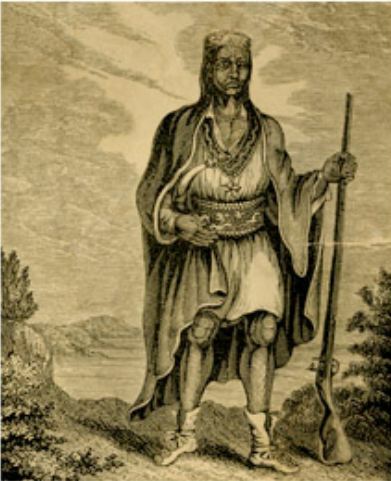 David Coats born 12/28/1726- Died during the French and Indian wars in Schenectady New York in 1760. His brother Obediah Coats was the administrator named in the will. Thankful Coats born 2/25/1728. It does not appear that she ever married. She died after 1771. Timothy Coats born 1730- died 9/2/1758 at Fort Edwards hospital in New York. Timothy served in the French Indian wars, also known as the 7 years war, enlisting in 1758 in the 12th company under Captain John Denison. He was wounded his first year in that war and died in the Fort Edwards Hospital. These are the children and grandchildren of Thomas Coats the third, son of Robert Coats Jr. all born and raised in Stonington, New London Connecticut. The following are the children and grand children of William Coats, son of Robert Coats Jr, born in Lynn but raised and married in Stonington. Experience Coates born 8/17/1718-died 12/30/1743. No further record of Experience is available at this time. Mary coates born 10/14/1719, died in childhood. Mary Coates born 1721- died? Elizabeth Coats born 17330- died ? Martha Coats born 1735- died ? Anna Coats born 1745 - died ?. She marreid in Wallingford on 7/28/1768 to Nash Yale Jr.
Christopher Coats born 9/13/1720- died near Galway New york. Dorothy Coats born 7/2/1722. Dorothy married her cousion, Obediah Coates on 8/4/1741. Their children are listed above. Amos Coates born 7/14/1724- died before 1768. Amos served in the French Indian wars in the 11th company under Captain Edmund Wells. Joseph Coates born 3/16/1730- died 4/16/1752. Married mary ?. They had no children. This ends the family of Caleb Coates. Hannah Coates born 9/16/1748-died ? Abigail Coates born 8/21/1750- died 8/30/1751. That concludes the Robert Coates Jr. of Stonington Conn. In our next post we will take a look at the French Indian war and start our look at the Charles Coates Family.